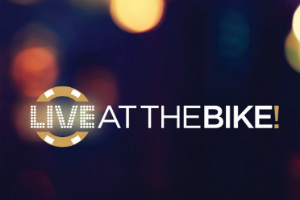 Former WSOP Main Event Champions will be the stars of the Live at the Bike! poker web show next Thursday and Friday, it has been announced. They will clash in cash games at the Bicycle Casino in Los Angeles, California and action will be streamed live on the Twitch and YouTube channels of Live at the Bike! On Thursday, March 1, players will compete in a $10,000-worth Sit’n’Go. On Friday, they will sit around the poker tables of the Bicycle Casino for a $25/$50 cash game. Johnny Chan, Jonathan Duhamel, Ryan Riess, Joe McKeehen, and Scott Blumstein were confirmed for next week’s live stream. It is yet to be seen whether more WSOP Championship winners are to join. Originally launched back in 2005, Live at the Bike! takes pride in being the first live streamed poker web show and the first such show to stream live cash game action from the Bicycle Casino. Its episodes feature raw and unedited poker-related poker. The player has won ten WSOP gold bracelets over the course of his poker career. He captured two of his gold pieces for winning the WSOP Main Event. Here it is interesting to note that the player won the Championship event in two consecutive years – 1987 and 1988, and nearly won it in 1989, but eventually finished runner-up to Phil Hellmuth. Chan was also actually the first non-US player to win the WSOP Main Event. The Canadian poker pro captured his WSOP Main Event title in 2010. He won the event after a heads-up battle against John Racener. Duhamel’s share of the tournament’s prize pool amounted to $8.944 million. He has two more gold bracelets from WSOP events. He won them both in 2015, one from the $111,111 High Roller for ONE DROP, and the other from the WSOP Europe €25,600 High Roller. Riess claimed the title in 2013. Jay Farber was his final opponent in the tournament. Riess won $8,361,570 for his performance. The player has not won any other WSOP gold bracelets after the 2013 $10,000 Championship, but captured another important title last spring. The player topped the field of the WPT $10,000 Seminole Hard Rock Poker Open Finale for a cash prize of $716,088. The player took down the WSOP Main Event in 2015. He played heads-up against Joshua Beckley to capture the important title. The player won the amount of $7,683,346 from the world’s most prestigious No-Limit Hold’em tournament. Last summer, McKeehen won his second gold bracelet from the series. He topped the field of the $10,000 Limit Hold’em Championship for $311,817. Blumstein is the reigning WSOP Main Event Champion. The player won the tournament last summer. His share of the gigantic prize pool totaled $8.15 million. The player navigated the tournament’s large field easily to enter the nine-handed final table as the chip leader and to further extend his advantage until he remained the last man standing. Live streaming from the Bicycle Casino with the former Main Event Champs is set to begin at 6 pm local time on Thursday and Friday (March 1 and 2).